My mission is to make a positive impact on the lives of others through physical fitness by helping you push beyond what you think you are capable of. hopes to get each individual to reach his or her own potential. I have been involved in the field of strength and conditioning and Crossfit for 5 years working with high caliber college athletes and everyday people. 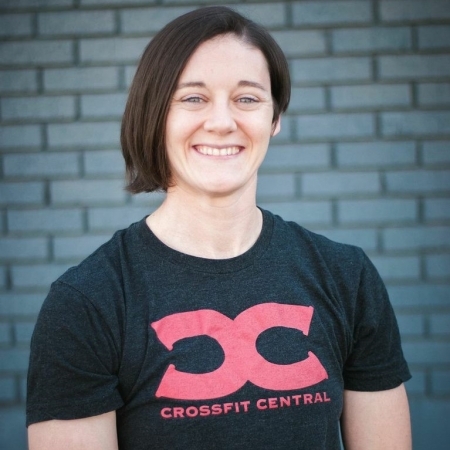 I have a bachelors degree in Exercise Science from the University of Nebraska at Omaha and am a Crossfit Level 1 Trainer. I am also an Underground Strength Coach and Certified Strength and Conditioning Coach through NSCA. I was a collegiate soccer player at UNO and still love to actively play sports in my free time. I love extreme sports such as snowboarding, skydiving, rock climbing, and will hopefully learn some wakeboarding while I live in Texas! I am available for one-on-one personal training and small group training. If you are interested email me at jesspowers@crossfitcentral.com.